Ever wanted to sew a corset just for yourself? Maybe you are going to costume ball, or a fair, or maybe you are just awesome and like to sew. You’ll need to start with a pattern, and I’m not talking about those ones online that you have to pay for…nope, completely free. The pattern is an original from a website called Tudor Links. They have been kind enough to upload these patterns from original articles that were published in the 19th and early 20th centuries (1800s – early 1900s). These are the real deal. 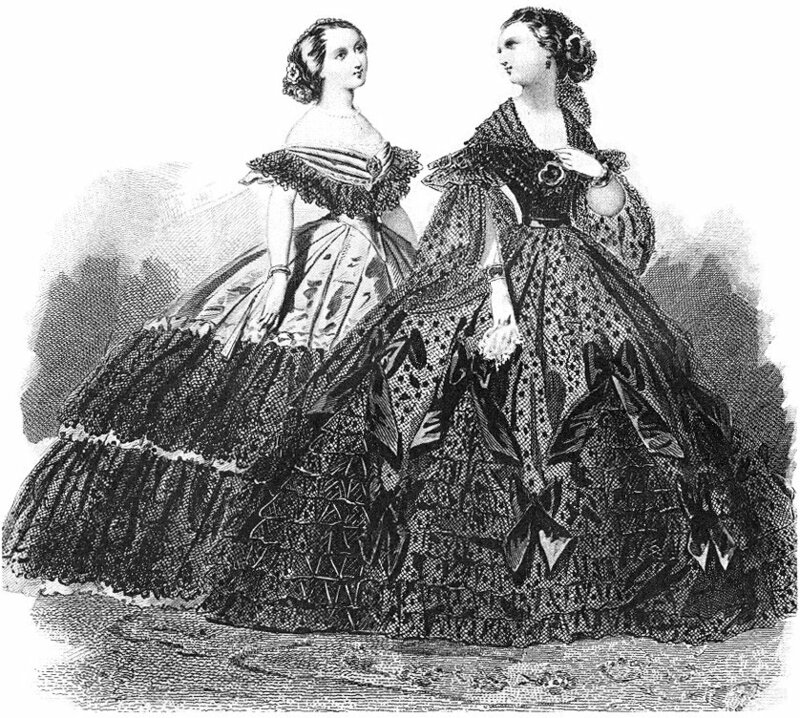 The corset pattern was produced in the late 1860s. Think full skirts, crinolines, bonnets, and lace (lots of lace). Next, I got out a graph paper book. I purchased mine from Office Depot. You will also need a fabric measuring tape. Measure armpit to waist. 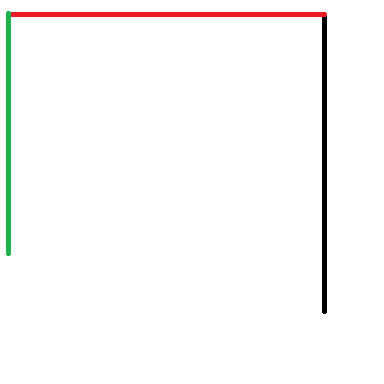 This line is blue. Measure from bust to waist. This line is orange. Measure from bust to armpit. The purple line is the curve that hits that armpit mark. 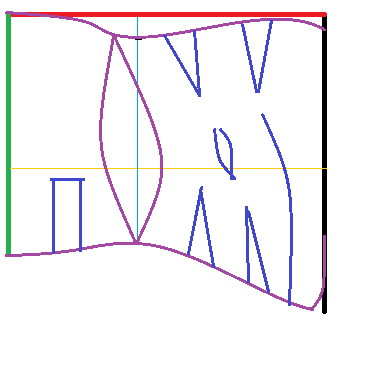 The blue line also marks the joint of the front and back of the corset. Keep in mind that you are looking at one side of the corset here. Next find B – W. This value is how much the gussets combined must equate to. So if you are lacking 4 inches, you can have 4 one-inch gussets. 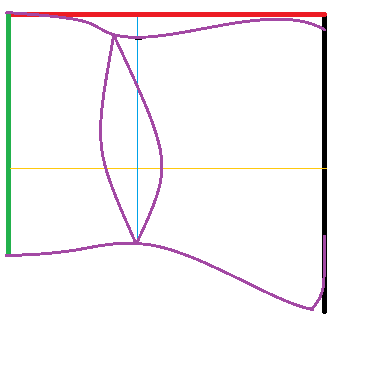 Find H – W. Similar to above, this is how much the gussets combined must equate to. You can distribute the amount how you’d like. The waist gaps represent how much your waist will be taken in divided by 2. If you want to take in your waist 2 inches, you will need to distribute that inch across the gaps. Keep seam allowances in mind. I actually did sew a rough draft this corset. I certainly learned a lot and discovered that I had made a few math mistakes for my first draft (corrected above). 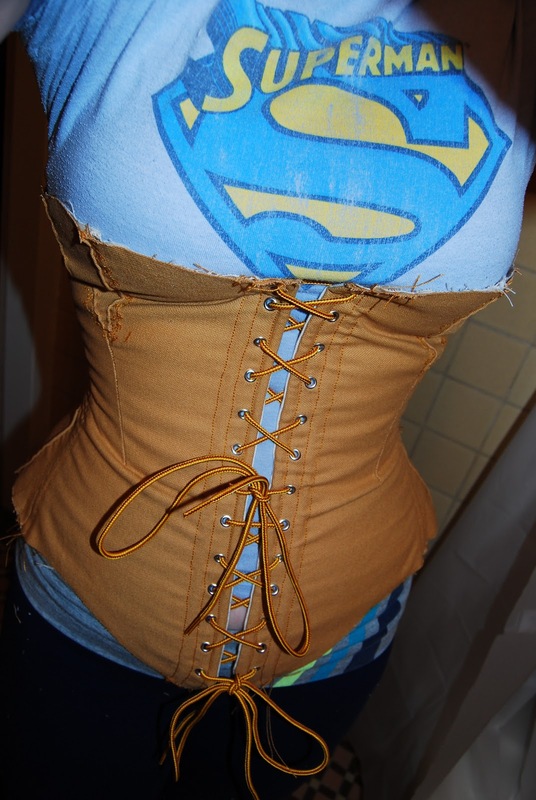 The result was a very curvy and tight corset.